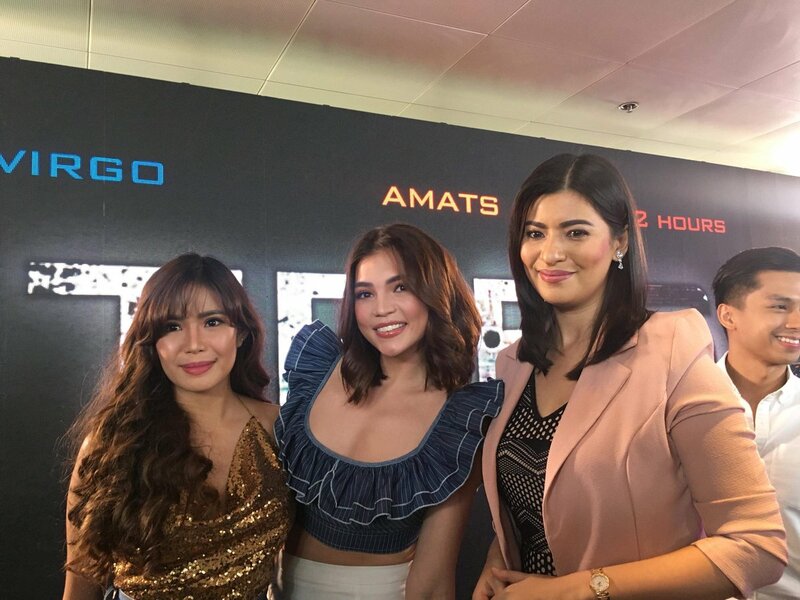 ASSUNTA DE ROSSI effortlessly stole the presscon of the Imus Productions’ action trilogy, “Tres”, with her hilarious self deprecating quips about her role as an older woman who seduces Luigi Revilla in the episode, “Amats”. It’s good her husband Jules Ledesma doesn’t get jealous when she does love scenes? “Hindi. Kung ganoon siya kababaw at sobrang seloso, siempre, hindi ako tatanggap ng ganitong projects. E, ito, okay naman ang treatment ni Direk Dondon. Maingat naman siya, so okay lang. Maganda raw talaga lumabas ang buong movie so I will attend the premiere night this coming Sunday. Bale last project ko na muna itong ‘Tres’ kasi by next year, I want to get pregnant so kailangan, walang stress, walang pressure sa trabaho, para magbuntis na nga ako.”.